Motherwell have signed Greek goalkeeper Gennadios Xenodochov on a short-term deal. 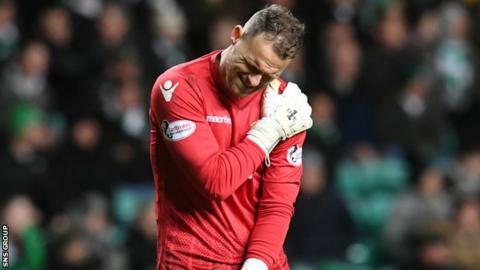 The 29-year-old provides extra cover for the injured Trevor Carson, having agreed terms until mid-January. Russell Griffiths has started the past two matches for Stephen Robinson's side, with no available back-up among the substitutes. SPFL rules blocked the return of Peter Morrison from a loan at Clyde, despite the club having a recall option. Xenodochov, who has Greek Superleague experience, will go straight into the squad for the Premiership trip to Kilmarnock on Saturday.